On the whole, I’m not much of a book reader. Most of my reading is done online; I read a handful of books every year, mostly non-fiction, based on various whims. Right now, I’m reading The World Without Us, a captivating exploration about how the world would revert (or not revert) back to a pre-human emergence. Some of these things have been dramatized into a series on the History Channel by a different name, providing the added element of CGI to show how buildings would collapse, infrastructure would fail, nature reclaims the suburbs, and how all that would remain for future archeologists is our stainless steel cookware. For the scientist in me, it’s fascinating to see everything humans have made becoming undone by the natural forces of this world. So, in touching upon the premise of the book, I thought, "What would the world be like without libraries?" How would our demise come? Unlike the book, which asks the reader to suspend disbelief and accept the total sudden disappearance of humankind, I cannot propose nor fathom asking the same for libraries. In attempting to avoid hyperbole, I think the mechanisms of the library’s demise have already proven themselves present. It will not come through lack of innovation or adoption of technology or practices; our relevance and willingness to change in this digital information age has certainly been established. No, the end will come as it has for some libraries over the past two years: through budget cuts. Funding for all library types (public, academic, school, and special) has hung in the balance for the last couple of years after budgets tighten and communities and companies look to trim their expenditures. You need go no further than typing in the words “library budget” in a Google News search to see the current toll that is being exacted. So, to go back to the original question, what would this truly mean? We should not invoke dire warnings of our demise without considering what would actually happen if libraries were removed in their entirety. I’m not certainly saying that this will happen, but let us imagine if it did. 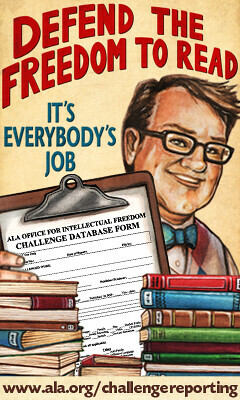 The immediate fallout would be the end of the industry and trade associations that have set up around the library: no more groups like ALA, no more trade publications like Library Journal, and a spectrum of businesses that provide consulting, furniture and building ware, hardware and software technology, and other office supplies would be forced to evolve or cease. Perhaps the most prominent economic impact would be the companies that provide the materials that go into our collections; the books, magazines, newspapers, movies, music, and database providers would find their business slowly evaporating as the library budget shrinks. In this hypothetical, the length of time before libraries would shut down depends entirely on the community. Whether large or small, it is the amount of local support that would prolong the end. I would imagine there would be some consolidation in libraries between towns; similar to how the library systems would close down branches one by one before finally shuttering their main location. As they say, all politics are local, and the same holds true for library support. In pondering this and trying to make it manageable, I’ve broken this post into three distinct sections: collections, services, and ideals. I’ve also excluded school, academic, and special libraries from this question. I’m not an insider when it comes to the other library types, so I would invite those with better knowledge to post their own hypothetical. With that said, let us consider a world without public libraries. I think that our public patrons will break down into two groups: the people who will end up buying more materials and the people who will look for borrowing alternatives. As for the first group, they will recapture a small part of the library market by buying the materials they would have previously simply borrowed. While operating under a smaller budget than the library, they will be purchasing within a niche of authors, movies, and magazines they are pretty comfortable with. There may be some purchasing around such preferences (such as similar authors, musicians, and genres), but the wider range of opportunities that the library offered will be gone. As to whether the amount an average person would spend over the course of a year would exceed the amount that would be paid taken out of a tax line, the ALA estimates that the average tax burden of an individual is roughly $31 (the cost of a hardcover book, one DVD, seventy local daily newspaper issues, or six months to two years of a popular periodical). It’s not hard to see how this number could be easily surpassed by an individual over the course of a year. The presence of the internet would certainly ease peer to peer lending of materials. There are already sites that exist right now such as Bookmooch, Swaptree, and Paperbackswap that facilitate people wanting to trade materials. Freecycle and Craig’s List could easily add book swap subheadings to their repertoire to assist people in making connections for exchanges. A subculture of an open information market where books, DVDs, and CDs are the currency is not terribly farfetched in light of what currently exists. Social media such as Facebook and Myspace could also play a hand in spreading the word about the aforementioned websites and tools or act as another trading medium. In the void left by libraries, this would give rise to new material lending enterprises. Business models and ideas like Netflix could be applied to other types of materials including books, magazines, and music. Likewise, in the model of iTunes, an idea of a low cost per-piece rental system could garner attention. (Whether or not someone could borrow a book for the cost of $1 is another story entirely.) In both cases, it would be a system of pick, click, and have it shipped to your door. With either a subscription or per-item, the private sector would offer alternative material lending solutions for former library users. In thinking about materials after libraries are gone, the question is not “if” people will still have access to materials, but “how”. Long before the emergence of public libraries, people lend each other reading materials. Whether it was the newspaper, pamphlet, book, or serial, information and literacy moved across society. With the demise of public libraries, it would return to a slower pace of exchange. The new communication mediums would allow for more rapid material exchanges (including illegal ones such as piracy). I don’t doubt that people will get their hands on the same materials, but between the private sector and public communities, it would be interesting to see how it broke down. There are a trio of potential solutions to this issue. First, other governmental organizations could provide computer access as part of their public service. While possibly niched, it would allow jobseekers to search and apply for jobs online (Department of Labor), homework help for children and teens (Department of Education), or specific department related inquiries (such as access to sites and databases relating to finances from the Department of Commerce). Otherwise, there is the potential for government run computer centers which allow citizens to access the internet much in the same way that libraries currently operate. The main obstacle to this type of solution would be the additional expenditures required to create and maintain these services (in other words, if they did not have the money to keep libraries, a new expenditure is highly unlikely). Even with this obstacle, I think there is enough importance on computer access (however rationed) that certain governmental agencies would create their own computer centers and labs for their tailored purposes. The last solution would be the creation and support of a community organization to provide access. Whether it is under a co-op structure or a simple pooling of resources, people could create shared computer access points that meet basic internet access needs. It could be a jointly purchased computer in a person’s house, a room in a community center, or a communal laptop with a mobile access card that goes to where it is needed. The point is that people will find a way if they want to maintain their wired connectivity. While free public computers is one of the traits that defines the modern library, it is not the only service lost with the closing of public libraries. Research questions, from genealogy to academic inquiry to reader advisory, become inquiries that are answered by either local subject experts or fodder for search engines. The presence and growth of Wikipedia would suggest that people are willing to share their knowledge and create links between information. Without librarians acting as a clearinghouses, the shift of the burden of providing information moves to individuals to step up and share in websites, wikis, and other organized content. I don’t think information is necessarily lost; a person could still track down the information from experts and other knowledgeable sources. What changes is the number of steps and the amount of time it takes for some inquiries to go from question to answer. The last important service that the library provides is when it acts as a life enrichment center. Each month, libraries across the nation put on programs for children, teens, adults, and seniors. Whether it is story time for babies or Wii for seniors or instruction classes, it would take a concentrated local effort to maintain these programs. I am hard pressed to imagine other governmental entities making replacement offerings save for those whose programs are closest to the department’s purpose. Likewise with the private sector; although I can see larger or more affluent communities being able to hire speakers and performers on a consistent basis. Personally, I feel that all of these social and/or educational activities would need to be picked up by the communities they serve in order to continue on as the closest resemblance to the offerings of the library. The remainder of services lost in the absence of public libraries consists of offerings that some libraries provide such as a notary, public fax, computer instruction, or a place for kids and teen to go to get off the street. These are the functions that cover the various gaps in overall government operations. It is not that there are no alternatives to these services, it’s just that libraries were the best situated institution for offering them. Again, people would find a way to get what they when public libraries existed; it would just take more local direction and effort. While public libraries are absent, I don’t believe our ideals are equally so. I believe that, with the creation of decentralized information in the absence of libraries, these issues would take greater importance. It is hard for people to rally for our ideals when they remain unchallenged as a whole; the creation of access barriers between the people and the information they seek would create a whole new playing field. With the onus of responsibility shifted from the institution to the people, I believe you will see a greater vocal presence for these freedoms. This is not to say that there would not be cases of censorship or information access inhibition, but I believe there would be more community opposition to infringements (realistically, to paraphrase a saying, your mileage on this ideal will vary with the community in question). To put this another way, with the elimination of additional options, I think people tend to get very particular about what is left on the table. Without public libraries, the question of the ideals that librarians champion rests in the hands of the community. As much as I’d like to give into my cynical side and say that they would erode within a decade, I feel that the general public also embraces the basics of intellectual freedom. As Americans, we accept the freedom of expression even if we don’t always fully follow it to the letter. This is to say that we are not a perfect people but we do agree on certain basic freedoms. We like our options, we like our ability to speak and express freely, and these aspects become important in the face of a reduction of information options. I’ve been working on this post off and on for the last couple of weeks. Over that period of time, I’ve read Ned Potter’s “The Unspeakable Truth” and other posts talking about a shrinking or vanishing role in libraries. This has compelled me further to finish this post and to thoughtfully examine a world without public libraries. I also think that there is a tremendous amount of gnashing of teeth and wringing of hands when it comes to the question of relevancy. All of this energy is better utilized doing what the library does best and focusing on the mission at hand: serving their patrons and their community. I don’t care whether this is through larger book selections, better reader advisories, an immersive website, or through providing support for the latest websites, tools, and gadgets. It is about the information, whether it is educational, entertainment, or otherwise. Finally, I don’t believe the world would stop without public libraries. Society got along relatively fine without us as they would again if public libraries went away. Our demise would add layers of additional complexity to information access, but it does not stop us from eating, breathing, or living. Life, most assuredly, would go on. It should not be our aim as public librarians to try to convince people how bleak and melancholy the world would be without public libraries. Rather, it should be our goal to show how much better the world is when you have seemingly infinite information and entertainment options only a phone call or keystroke away. It is an appeal to what could be, for our holdings are the seeds of insight, of knowledge, and of imagination. That we can enable better dreams, better understandings, and a better fuller life. The public library is in the life enrichment business. Act accordingly. This entry was posted in deep thoughts and tagged future, library science. Bookmark the permalink. In my encounters with librarians, I find that their personal interests tend toward the “geek” side of the scale. If you were to poll librarians, you’d probably find that more of them watch, say, Doctor Who, than watch NFL. Many more librarians could probably translate a Dungeons & Dragons chart than a “March Madness” schedule. So if public libraries were to disappear tomorrow, you’d have a whole lot of geeks out of work. And they’d suddenly have a LOT more time on their hands. Not only that, they are information professionals! Although, with idle time and a newly minted private sector, I have a feeling that librarians would find a similar niche in a world without public libraries. I can imagine private bibliographic instruction and information management, as well as being hired for projects and consulting for the private sector or communities. I assume you do not consider yourself a geek? Those who do watch ne NFL are NOT geeks? How would YOU categorize them? What is your vocation, Craig? a truck driver? Also wanted to add to the article itself: the author has no idea that public library subscribe for very expensive databases and those will never be accissble via bookswap or alike sites. No internet cafe will ever be able to subsrvibe for a database… Do you even know what a database is Craig? Another note: it does not speak well for the Brooklyn Public Library to have someone engaged in attacks on fellow librarians at a time when you are in a direct public appeal for support. Especially when you are combining personal jabs with poor syntax. Good post, Andy. It sits well alongside Ned Potter’s post, and I plan on responding to both together to continue the dialogue regarding the future of public libraries. By ‘act accordingly’, it’s a reminder of the effect that we have on members of the community. Whether I am helping someone with taxes, find a book, reserve a movie, or do research, these are all endeavors that make someone’s life a bit easier, brighter, and (hopefully) smarter. It’s an issue of quality of life, something that we as librarians can influence through our care and work. It is a matter of reminding people that we do make a difference, one person at a time, one group at a time, and one community at a time. It is the little things that make up the big difference in the end. We are a profession that helps people. It should not be forgotten, overlooked, or omitted. What we do matters. Thanks for so beautifully capturing what it is we’re all so interested in nurturing. Thank you very much for your kind words! They are greatly appreciated. Another great post, Andy. Full of thoughtful insights and a careful look at details. I’m curious how long the absence of libraries would go on for? I can see things starting from scratch, where there are no libraries and then people start organizing community book and resource sharing, and then having it grow from there. Would there be vigilante librarians that offer their services for free or a small fee? I think the main issue, and you definitely alluded to this throughout the post, is that the main problem would be a “bottle neck” situation. All of the services that libraries offer can be found in other places (for the most part) but we are a unique entity that offers many useful services for a low cost (you pointed out the figure $31). People that ordinarily used these services will go to other places, but I believe it will start to clog and produce an inconsistent flow of services to people that need it. What I liked most about your post was how you pointed out that librarians should focusing on the mission, on their duties and how well they do it. Don’t talk the talk, but walk the walk. Let your actions speak louder than words, and many other cliched, but accurate, phrases. It was a good reminder that, while the universe of information expands throughout cyberspace, our focus should be on what it is around us. It’s the local part that matters; we don’t answer to the greater internet community when it comes to how tax money is spent or how service is rendered. It is our patrons who count and we should focus on what makes us unique. As always, you have composed a lofty and eloquent essay with many important ideas. Normally, I could read something like this post and find practical applications for my practice as a school librarian. However, I am finding it more challenging these days to immerse myself in posts like yours and those of other great thinkers in our profession when the reality of my world in the library ecosystem is intruding with its ugliness. In this post, we are asked to imagine a world without public libraries. Here in school library land, we don’t have to imagine a world without school libraries because it has been happening for some time now. We already are seeing far too many places without school libraries; the bigger problem I see, though, is a world without school librarians, the heart and soul of the school library who can either make or break a school library program. School librarians are basically sacrificial lambs as financially decimated school districts across the countries are terminating school librarian positions at will and either closing school libraries or simply manning them with uncertified personnel who are not qualified to take on the roles we play every day as leaders, instructional partners, information specialists, teachers, and program administrators (our five official roles according to AASL). In many school districts, school librarians are being asked to take on these roles not only in one school but in multiple schools. Some school librarians may be asked to serve over 2000 students and a faculty of 100+ in one school—how can any school librarian, no matter how talented or passionate he/she may be, truly implement an effective school library program under these circumstances? While teachers and students who were used to the services and instruction provided by a quality school librarian will appreciate what is lost, sadly, there will be an entire generation of students and teachers who may never know what they have missed by not having at least one full time certified school librarian as part of their educational experience. You say, “I also think that there is a tremendous amount of gnashing of teeth and wringing of hands when it comes to the question of relevancy. All of this energy is better utilized doing what the library does best and focusing on the mission at hand: serving their patrons and their community.” In many cases, the very school librarians have done exactly what you advocate and channeled those energies into their schools and those they serve but to no avail. While your assessment may be spot on for public libraries, I think that concern is a very real one for other librarians, particularly for us as school librarians as we are being wiped out from the educational landscape. For us, what we do matters greatly in the lives of many we serve but obviously, not to some boards of education or to our very own president who has eliminated what little federal funding we as school libraries could be eligible to receive. Many of us as school librarians have already “acted accordingly”; unfortunately, decision makers have not even in the face of qualitative and quantitative evidence demonstrating the value of school libraries and librarians. I would respectfully suggest that perhaps it is time the legislators and school boards around our country be the ones to act accordingly by supporting mandates and funding for a highly qualified, fully certified school librarian in every school in our country, providing funding for materials and quality Internet access to provide equitable access to information and to help close the participation gap that DOES exist in this country, and to recognize the importance of information literacy as an essential, not secondary literacy, in the schools of today. We have talked about this at great length, Buffy. This conversation is why I decided to simply limit it to public libraries and not try to address all types of libraries. What you have written here is a good seed for someone to take and run on behalf of school libraries and school librarians. You really should spell out what it means for the parents and educators to not have a school library or librarian. The consequences of such a decision should be objectively explored. 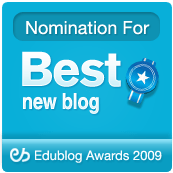 Is there a school librarian blogger willing to step up to this challenge? Wow, this is huge! Like a Lead Pipe post, have you considered submitting something for them..? I was interested in Buffy’s comments because I’m interested in whether our problems, as an industry, apply across the board – and whether the solutions can too. School, public, academic, health, law, other specialist libraries – do we make enough distinction between them when we theorise about how to move forward? I’m not sure I do – I think I write quite a lot about public libraries, but almost not conciously so (I assume, internally, that as work in academic-land that I probably write about that, but actually I think I don’t, most of the time). With regards to the whole: “I also think that there is a tremendous amount of gnashing of teeth and wringing of hands when it comes to the question of relevancy. All of this energy is better utilized doing what the library does best and focusing on the mission at hand: serving their patrons and their community” thing… I’m not sure the two are mutually exclusive. (In fact I’m sure you weren’t suggesting they are.) I think we have enough energy to do both the hand-wringing (important for raising awareness of serious problems) and the serving the patrons (our primary duty). On a simplistic level, I do the latter 9-to-5 and the former in my own time. I know a lot of library people are bored by the teeth-gnashing, but I think it has a place – and I also think you can still be optimistic and positive, and serve your community, while encouraging engagement with industry-or-sector-wide problems. Ned, I agree that there is a place for wringing of hands and gnashing of teeth. But it feels that this occupies a focus of the librarian blogosphere, creating its own echo chamber. If we foresee the end of libraries, then it start edging towards the realm of self fulfilling prophesies. Innovation and creativity can be paralyzed by the thought of futility for what we are doing when, in the greatest information revolution of human history, it should be flourishing. Our competitive advantage over the internet is that we are local. We serve our communities in a way that has not been replicated by the internet (…yet). As I said above, the greater information internet will take care of itself. It’s the communities that count; they are our supporters. This is about what we can do for them on a local level that other entities cannot while facilitating them to the greater information whole. Yeah, that’s a good point. I need to have a think about that. Personally, I always try to focus on difficult issues without being completely all doom and gloom – overall I’m positive about what we do, and our future, but often write about the troubling stuff anwyay. Not been blogging long so can’t claim success here, but the *intent* is always to avoid the paralysing, self-fulfilling prophesy side of things… I’d love to energise rather than paralyse! The thing I really like about this post: the way it looks honestly and comprehensively at where libraries’ potential competition is (or could be, recognizing that the world without libraries would be different, hence different things could arise…). So unfortunately, the world without school librarians isn’t hard for me to imagine, and I can’t say it would have made any difference to my education to have not had that library. That, of course, is an indictment of my education — in what universe is it acceptable for a high school student, especially one in accelerated classes, not to write a research paper? Thanks for the reply, Andromeda. I think the giant caveat about mobile phone internet would be that it is still rather pricey and I don’t see the price going down in the absence of libraries (unless they are trying to make up for lost business selling access to libraries). As much as people love their smart phones, I have yet to hear anyone rave about the pricing. The digital divide would be more pronounced barring an evolution of pricing. Although, given that text messages were expensive and optional in the past and now cheap or built-in to plans, I am hoping the same for data plans. I, for one, am hoping that someone (*coughcoughBuffycoughcough*) will write a post along the lines of “The World Without School Libraries”. Or academic ones or business/corporate ones or whatever. I cannot speak on their behalf because I have no familiarity with them. I was feeling like I wasn’t expressing myself adequately about mobile internet and realizing that was because I didn’t actually remember any of the details, so I asked my husband (a former telecoms engineer)…he says that, in urban/suburban parts of Africa, figure on 10% penetration of mobile devices, less in rural areas (although a few phones per village anyway). Essentially all of these phones will have internet — it’ll be at dialup speeds, it won’t have the prettiness of an iPhone, and data will be more expensive than voice (although in some ways data plans are easier to get there than here). When he was last in telecoms (last year), they were looking to deploy to a 500-person village in Nepal, where he expected there would be about 8% phone penetration (again, essentially all of those phones are internet-enabled, and users make flexible tradeoffs between data and voice — they’re not separate plans because there are no “plans”; people have prepaid minutes, and data uses them faster than voice does). Again, I feel strongly that when people in our demographic talk about mobile devices, they’re talking about iPhones/Droids/etc., and what I’m saying is there’s a whole world of mobile devices that look nothing like this. Or, as my husband pointed out, rich white people have Internet on their computer. Or their phone and their computer. But internet on *just your phone* is a totally different demographic. I could’ve sworn I saw a reference once, maybe viadanah boyd, on mobile phones as primary internet access points among some (non-rich-white) Americans as well, but I can’t find it now. Anyway. My point is. “Internet on your phone” isn’t just a first-world/rich-person phenomenon, it isn’t just fancy color touchscreens on expensive devices, it isn’t even necessarily “smart” phones at all — and in fact the nature of access and use, the principles of good design, etc. can be very different — so it’s important to me to harp on that point.